Agents who recruit international students for American colleges are paid by both sides, raising questions about whose interest is being served. Education City, the largest enclave of American schools overseas, has become the elite of Qatari education. The American system of higher education, long the envy of the world, is starting to become an important export. For most students, college is a four-year rite of passage - a time to dabble in multiple subjects before settling on a major or a chance to spend a semester abroad - with frat parties sprinkled in between. Activities fees? Shouldn't public school be free? The coverage of sea ice in the Arctic could break the record low from last September, scientists said. Vernor Vinge has been urging his fellow humans to get smarter by collaborating with computers. Scientists are hard at work on the tiny submarine that will replace the legendary Alvin. Each piece of the Dead Sea Scrolls is being digitally photographed with the aim of putting the entire file online. The Swiss rate themselves as highly conscientious; Indians and Canadians see themselves as agreeable. As a new school year begins, the time may have come to reconsider how large a role technology can play in changing education. When my high school English teacher assigned Shakespeare’s Julius Caesar, I thought the play was boring, too difficult to understand, and wished we could have read something easier. . . Sticker shock: it's really both. Families who pay huge bills for college educations can take some consolation knowing the degrees yield lifelong dividends. Harvard and Yale officially deny any competition between the two Ivies. Ditto Annapolis and West Point. But Ohio State and Michigan invite students to bring it on. Who's really the best? You decide. Because it can prosper from the rise of the rest in higher ed. New York University is partnering with Abu Dhabi to create an international campus in the Gulf. President John Sexton talks about the project's potential, and its challenges. The geography of higher ed is changing fast, with Asia and the Mideast coming on strong. War, chaos and repression are driving the decline of the once great Arab centers of learning. To better compete, a few bold leaders are rethinking their schools from the ground up. An entrepreneur turned academic argues that to compete globally, American institutions should act more like Indian ones. Harvard dramatically overhauled its aid rules. Other colleges had to follow to compete for top students. How to make sense of it all. First Person: Romance led this former East Coast student to the harmonies of a cappella. The SoCal VoCals turned out to be life-changing. To see 2008-09 school year calendars, go to the Santa Clara County Office of Education's Web site and scroll down to "Districts' Yearly Calendar." US News & World Report Annual College Survey online or buy the print edition at your local book score. Astronomers have made the most precise measurements yet of the Hubble constant, which expresses how fast the universe is growing. Scientists used techniques not invented in 2001 to trace anthrax to its source, a flask in Bruce Ivins’s custody. Nina V. Fedoroff is science adviser to the secretary of state and contends that genetically modified foods help the environment. 1. How does the amount of energy per gram of TNT compare with the energy per gram of a chocolate chip cookie? "The rights of birds are outweighing the rights of humans." Nanotubes may lead to smaller doses. Hurricane Katrina wiped out the New Orleans public schools. It also created a rare chance to build a system that might solve the biggest problem in urban education — how to teach disadvantaged children. Three years after Hurricane Katrina devastated the city’s school system, Rabouin High, in downtown New Orleans, is on the road to recovery. In the Lower Ninth Ward, Lawless High wasn’t so lucky. The Princeton Review, the test-preparatory firm, accidentally published the personal data and standardized test scores of tens of thousands of Florida students on its Web site, where they were available for seven weeks. South Koreans say their obsession to get their children into top-notch universities is nothing short of “a war” and are turning to intense, regimented campuses. The House overwhelmingly approved an overhaul of the nation’s higher education law, adding dozens of provisions and programs to help families with soaring college costs. Sally Donahue, Harvard University's director of financial aid, answered questions about how to pay for college. New images of one of Saturn's moons will provide clues in solving how a 310-mile-wide ice ball could possibly be shooting geysers of vapor and icy particles. Researchers report that the coastal seafloor of many of the worlds oceans can barely sustain marine life due to human activity. Two California companies plan to build solar power plants 10 times larger than the largest now in service, creating the first utility-scale use of technology mostly confined to rooftops. Beyond the debate about what to do with the elephant lies a larger struggle between zoos and animal rights groups who would rather see a world without elephant exhibits. Some insect species are able to swim underwater because of the personal air bubbles they carry with them. With what could lead to more powerful microscopes, scientists have found new ways to bend light backward. Using a new set of criteria, researchers have determined that animals were domesticated much earlier than previously thought. Nearly 7,500 seniors enrolled in summer classes at dozens of the city’s high schools hope to graduate in August. Did the company that administers the SATs mess up their chance to go global? Research shows that the controversial SAT writing exam is a good predictor of academic success, but only slightly more so than the math or critical reading portions. Get ideas for your SAT Essays from the news stories of the Beijing Olympics. Between used books and pirated copies offered for illegal download, the textbook industry has begun to transition to other models of distribution and sales. The Long Passage of the SAT Critical Reading Section often features exerpts from science and technology texts. In honor of Science Friday, here are links to ten interesting articles on science and technology. One year ago today, chemist Samuel Kounaves stood on a jetty in the predawn stillness of a Florida morning, and waited for his moment. A childlike robot and six-legged machine display the latest in human-robot interaction in London. One responds to touch with its "heart. With a new technique, a fingerprint can identify what a person has touched — like drugs, explosives or poisons. Olfaction is an ancient sense and in many ways our sense of smell stands alone. Using software to tell the computer what to do in conversational English. SFG: '6 degrees of separation' backed Researchers study distance between any 2 strangers. California is the first state in the U.S. to use public bonds to fund stem-cell research, and researchers there have already transformed how controversial biomedical research is sustained. State law bans the state's public universities from recruiting students based on race. But it can't stop student volunteers. CollegeBoard has expanded their Essay section to include sample scored essays. With students demanding environmentally friendly campuses, colleges and universities are racing to be the greenest of them all. The State University of New York is rebuilding a campus and curriculum around sustainability. A New Haven charter school where city youth learn to turn off the lights and open their eyes. Seven grass-roots efforts from a generation of environmental caretakers. Summer school isn’t for laggards anymore. Colleges now grab May to August for serious academics. THE TALES OF BEEDLE THE BARD will benefit JK Rowlings' charity Children's Higher Level Group. Containing clues that were to prove crucial to Harry Potter’s final mission to destroy Lord Voldemort’s Horcruxes, The Tales of Beedle the Bard is the volume of five wizarding fairy tales left to Hermione Granger by Albus Dumbledore in the seventh and final book, Harry Potter and the Deathly Hallows. Only one – The Tale of the Three Brothers – is recounted in the book. In The Tales of Beedle the Bard, the four remaining stories are revealed for the very first time. A collector's edition and a standard edition of the book will be published. 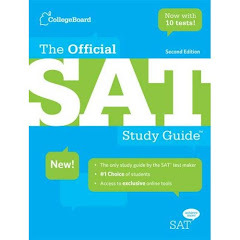 The Long Passage of the SAT Critical Reading Section often features exerpts from science and technology tests. In keeping with the NPR tradition of "Science Friday," this blog will link to some scientific articles of interest, and post a new collection weekly on Fridays. Peer into its molecules, and glass is indiscernible from a liquid. So how can it be hard? And how does it get that way? For scientists, the puzzle persists. A sample of soil being analyzed by NASA’s Phoenix Mars lander let out a puff of vapor, providing final confirmation that the lander is sitting over a large chunk of ice. The first stars in the universe were short-lived brutish monsters that changed the nature of the cosmos forever, new computer simulations suggest. The Antikythera Mechanism organized the ancient Greek calendar in the cycles of the Olympiad, researchers say. Students get hired to capture the breeze by Blake Nicholson, Associated Press 07/27/08 Schools work to fill growing need for trained wind techs.